Sketch for a polymer clay sculpture idea. The tail feathers being flowers. 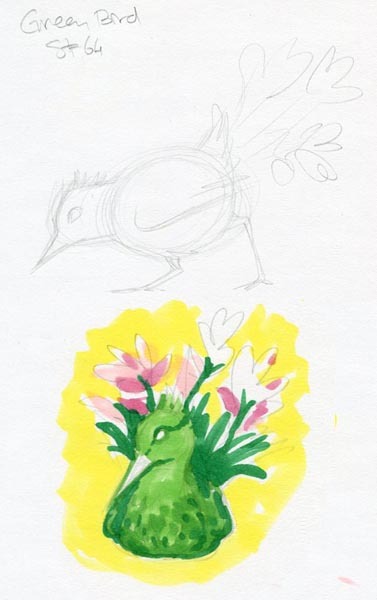 Orrrr I might take a different route; use more natural colors for the bird itself, and make the tail part around a planter, so I could place an actual plant in it. Anke Wehner says: this is lovely, I hope you'll finish that project. :)	~ Reply?